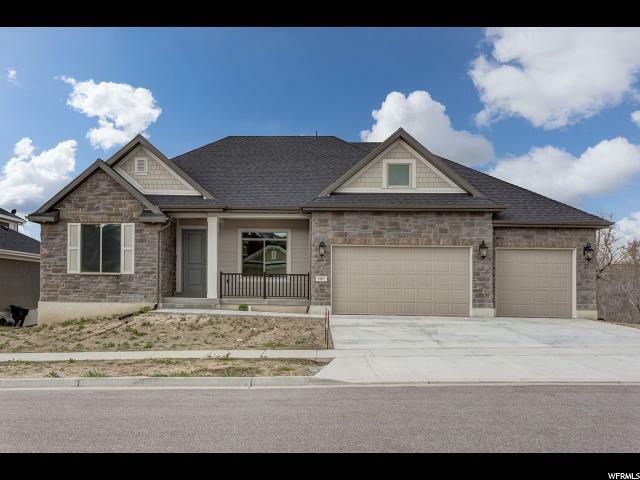 All Farmington homes currently listed for sale in Farmington as of 04/22/2019 are shown below. You can change the search criteria at any time by pressing the 'Change Search' button below. 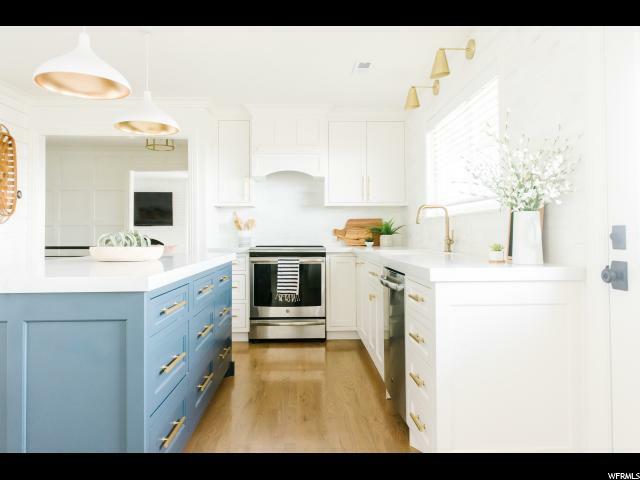 If you have any questions or you would like more information about any Farmington homes for sale or other Farmington real estate, please contact us and one of our knowledgeable Farmington REALTORS® would be pleased to assist you. 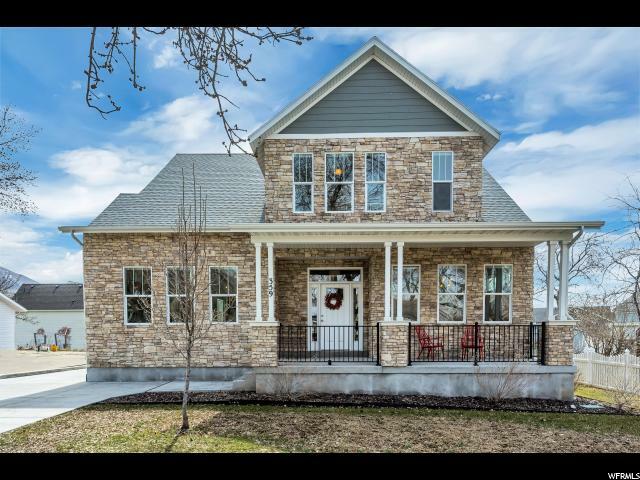 "This Custom built home is tucked on the east side of a cul-de-sac in the coveted Hidden Meadows neighborhood. It's bright, open design highlights the breath taking scenery of the mountains, mature trees, and hiking trails where it sits & magnificent valley views through custom designed picture windows to the West. You'll find every convenience and unexpected amenities, some of which include a cook's kitchen with 2 built in refrigerators and freezers, 2 dish washers, 2 ovens, a butlers pantry and ample cabinet space. The master bedroom has a large master closet with a washer and dryer, a large bathroom with a walk-in shower and heated floors. The large custom laundry room is located on the main floor and fronted by lockers in the mud room. There are granite counter tops throughout. A spacious theater with tier seating and room enough for many guests. Professional landscaping with shade trees and a large space for barbecuing and entertaining. There is a second Kitchen in the basement tied to the game room. This house is perfect for entertaining large groups. Lots of parking, a circular driveway and an RV pad and much more. Pre-apporved buyers by appointment only. Buyer to verify all info. " "$50 K PRICE REDUCTION! Beautiful Home in Highly Desirable area. High End Construction, Impressive Entry and Grand Staircase. High Ceilings, Molding and Beautiful Woodwork. 4 Fireplaces on Main Floor. Main Floor Master Suite with Access to Deck and Never Ending Views. Main Floor Office w/Wonderful Views of the Mountains. New Roof, New Paint throughout. A Place to Entertain as Well as Call Home!" "Located in The Residences at Farmington Hills, this prestigious location already brings with it the expectation for high-quality homes. This home is so new, they're still putting the finishing touches on it! While you wait for it to get all those last details in place, here's a tantalizing look at what the final product will be: If you like the sound of open living spaces, copious natural light and the luxury of high end finishes, then you'll fall in love with this property. Gorgeous windows throughout the home illuminate and inspire, while high ceilings give you the feel of regal living (especially in the great room, which has ceilings that reach up to 14 feet). In this subdivision, views expand over all of downtown Farmington and Lagoon, and there's more than enough room to stretch your legs outdoors with a full acre lot! Further luxuries this home includes are a beautiful master suite with a free-standing tub and large walk-in shower, an enormous four car garage, and a full theater room and kitchenette in the fully-finished basement. Construction update 1/24/2019 Home is currently sheet rocked and they are starting Finish Carpentry ASAP "
"Beautiful new home in desirable neighborhood on the east bench in Farmington! This new home sits on an entire acre yet is still within ten minutes of shopping at Station Park, restaurants, and schools. See floor plans in documents section. Recently completed. " 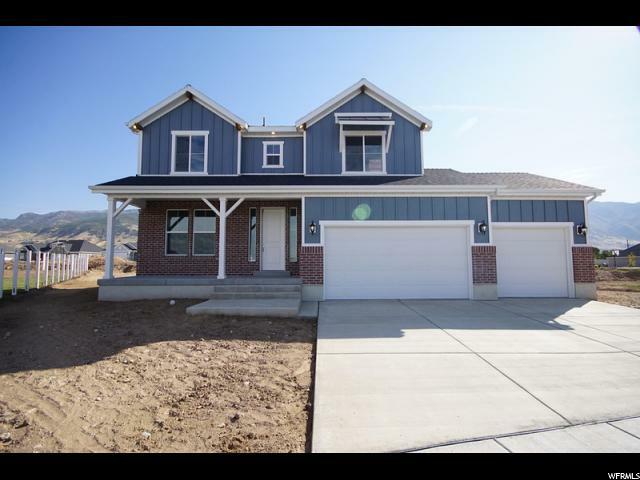 "Amazing brand new rambler Creighton Traditional home plan! This home boasts all the amenities such as a 3 car garage with exit door and keypad, spacious bay window in the kitchen nook, finished basement space with kitchenette, covered deck, custom upgraded cabinetry, stainless steel gas appliances, quartz kitchen counters, beautiful kitchen tile backsplash, tile accent surrounds in the bathrooms, brushed nickel hardware, 2 tone paint, textured walls, large base and casing, hardwood flooring and so much more!" "You've got to see this beautiful home! This home has it all, with 6 bedrooms, 4 bathrooms, fully finished basement that could be a mother in law apartment, vaulted ceilings, and an in ground heated pool! Located up on the east bench you will get the most gorgeous views from every angel. With mountain views out the backyard and valley/lake views from the front and side of the house. Minutes away from lagoon, station park, freeway and zoned for the new Farmington High School. Recently refinished hardwood floors, new A/C units, mature fruit trees (apple, peach, plum, pear), a koi pond, and the list goes on and on. Owners have taken great care of this home and it is ready for its new family! Schedule your appointment today! Buyers to verify all information." "Incredible Rambler with bonus room! 1/2 acre home site backing onto wooded hollow and creek below. Fantastic value in a great community near Cherry Hill, Lagoon, Station Park shopping and golf! This home features a 3 car garage with exit door and keypad, finished basement space with 9 foot walls, spacious bay windows, can lighting, covered deck, bonus room upstairs, custom cabinets, stainless steel gas appliances with double ovens, granite kitchen counter tops, tile accent surrounds in the bathrooms, 2 tone paint, textured walls, modern base and casing, hardwood flooring and so much more! A must see! Includes $10,000 landscape allowance." 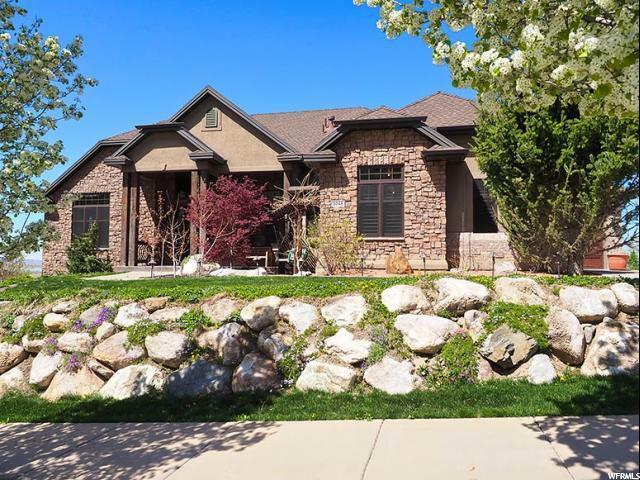 "This house is a custom built rambler home on a view lot next to the Farmington mountains. 100% finished up and down. full Kitchen up and down. This house is updated with new carpet, paint, water heater, rebuilt furnace, brand new central air system, garage doors and paint. Three car garage with the third garage large enough for a boat and RV. This Rambler home is located in a cul-de-sac with a breath taking panoramic view. The house is extremely well taken care of. Square footage figures are provided as a courtesy estimate only and were obtained from the county. Buyer is advised to obtain an independent measurement." "Completely Remodeled. Updated kitchens with granite countertops and new cabinets. Hardwood floors on the main. Mother-in-law apartment with its own water heater and furnace-A/C that can be integrated to the main house or seperated with a lockable door. 40'x60' barn for extra garage space or farm animals. New roof, stucco, and siding. Great dead-end street in a quiet neighborhood. Excellent location for schools and close to Station Park. All new appliances and New high-efficient furnaces and A/Cs. Open floor plan with a huge master suite." 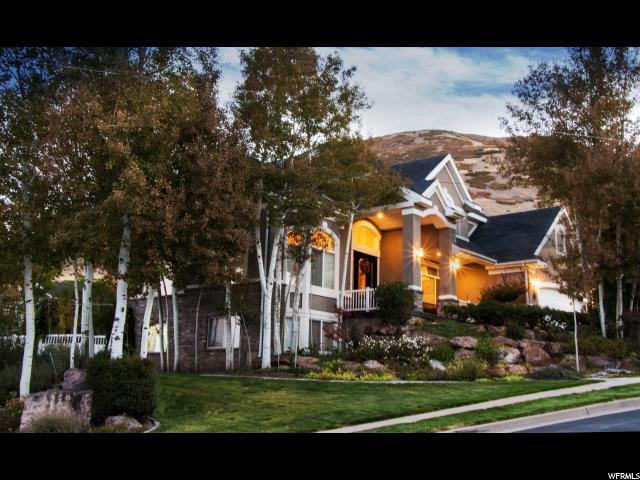 "Fabulous Farmington home with gorgeous views from every room. Walk into the vaulted and spacious entry on the porcelain tile and look through the large gas log fireplace to spectacular valley views. The wrap around deck provides panoramic views from North Salt Lake to the south and Ogden to the north. A new awe inspiring sunset over Antelope Island awaits you every day. Plenty of counter and cabinet space in the open kitchen overlooking the family room and built-in entertainment center. Master bedroom features a walk-in travertine shower and jetted tub all with private access to the screened-in portion of the deck. The day light basement with its nine foot plus ceilings is a totally self-contained Mother-in- Law suite complete with laundry room and wheel chair accessible doorways and bathroom. A very large secure and fireproof vault is also located downstairs with the under garage space just waiting for a home theater and shop. All windows have plantation shutters installed. Home is also setup for a permanent natural gas generator. Outside is a large easy to maintain yard with over two dozen trees. Garage space will accommodate two full zed vehicles in the main stall and an RV in the deep secondary garage. 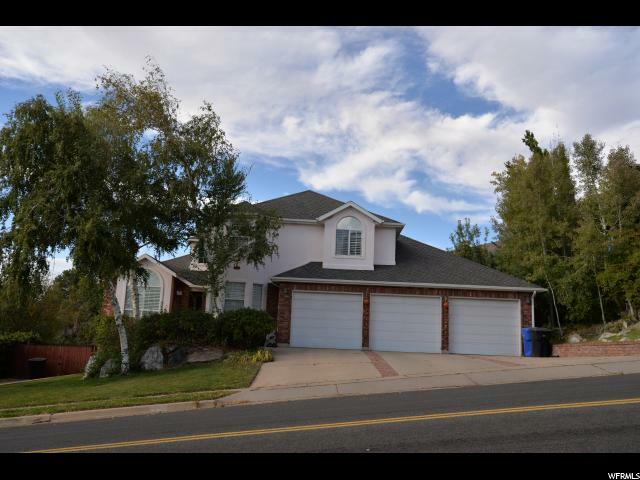 Location provides easy access to I-15 and for shopping farmington Station and Parrish Lane are a short drive. " 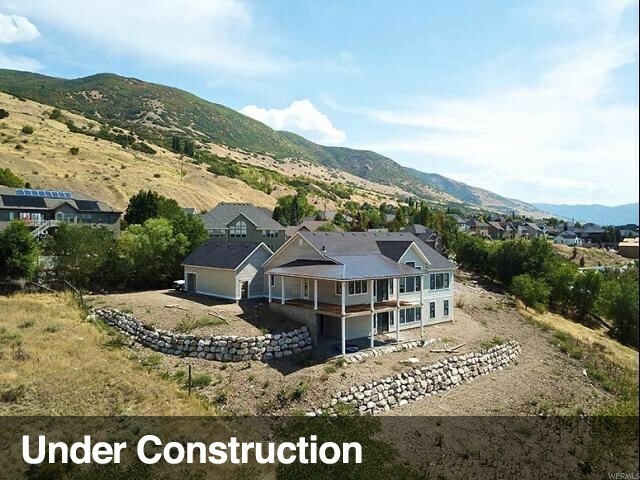 "Rarely do you find a home as breathtaking and beautiful inside and outside as this custom rambler built in the Creekside Estates development along the Davis Creek. From the front porch, you can sit and enjoy the sounds of the calming water and the wildlife such as squirrels, deer, hawks and hummingbirds that visit often. When you walk in the front door, the home is warm & inviting with its open concept floor plan and plenty of area to entertain. 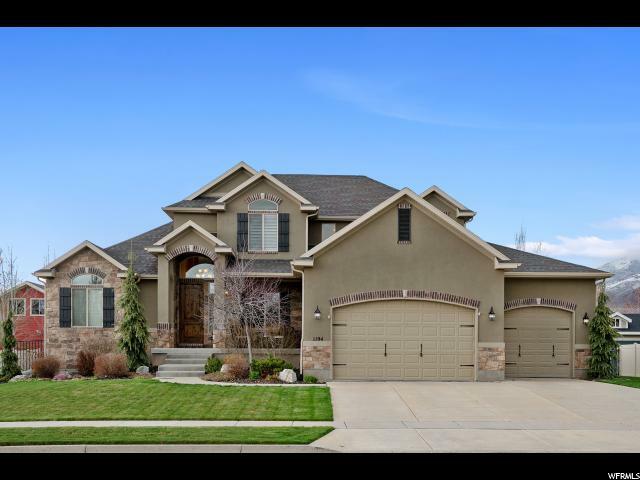 Numerous custom features throughout the main floor such as the double sided gas log fireplace between the kitchen and family room, beautiful cherry kitchen cabinets, master suite with jetted tub and walk in closets. The high end features also continue into the fully finished basement with its porcelain tile, wet bar, spa bathroom with walk-in shower, tub & steam room, as well as, a basement entrance perfect for a mother-in-law setup. The backyard is just as relaxing as the front yard with its view of the mountains from the back patio with pergola, mature trees large enough for a hammock perfectly situated next to the creek, and plenty of room to garden in the rich soil. This home is a true gem and has only had one owner, who has loved and adored this home for many years. Call today for a private showing! Square footage figures are provided as a courtesy estimate only and were obtained from county records . Buyer is advised to obtain an independent measurement and to verify all." "Enjoy this spectacular Italian style villa completely remodeled in 2007 adding 2342sqft. 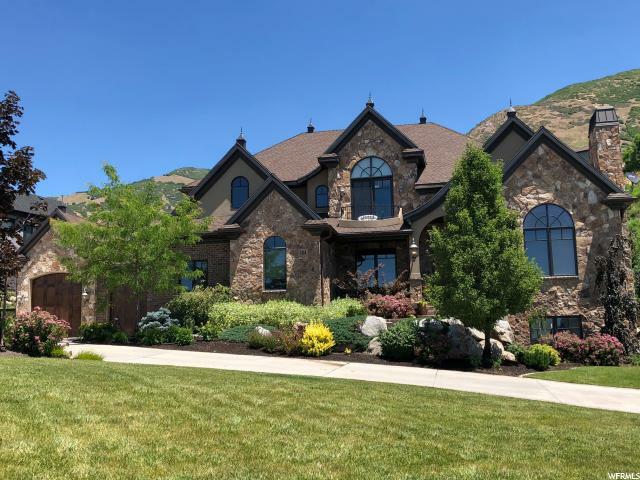 New breathtaking 800sqft master suite, upgraded chef style kitchen with 12' granite top island, beautiful wrought iron railings, Saltillo tiles, imported Greek travertine, alder wood floors & elegant interior upgrades throughout. This enchanting Estate has 4 gorgeous balconies, incredible views of Salt Lake, terraced yard with mature trees, vines, rose bushes, & a private detached Casita. New roofs 3/2019. Square footage figures are provided as a courtesy estimate only. Buyer is advised to obtain an independent measurement." "Beautiful 2 story with a basement, loaded with all the upgrades you expect. Designer kitchen with granite counters, knotty alder cabinets, stainless steel appliances, hardwood floors. Professionally landscaped. Fully fenced. In highly desired Chestnut Farms with pool and park. Square footage figures are provided as a courtesy estimate only. Buyer is advised to obtain an independent measurement." "Beautiful brand new Edison Lakefront home plan! Great location near Station Park shopping, parks, golf, highway access and more! Features so many great amenities such as hardwood flooring, stainless steel gas appliances, custom cabinetry, quartz counters, 2 tone paint, textured walls, large modern base and casing, 9 foot basement walls, spacious box bay windows in the kitchen nook and master bedroom, 3 car garage with exit door, covered deck and so much more! A must see!" "This beautiful home on Main Street in Farmington has been decked out to the nines. No stone left unturned when remodeling this home. Brand new kitchen with a walk in pantry big enough to be a bedroom! Open concept floor plan, perfect for large family events and entertaining. Amongst the 8 bedrooms there are 2 master suites, walk in closets, views, new flooring, paint and SO much more. You truly have to see it to believe it. Once you walk up the grand stair entry in to the home you will fall in love. The basement is a true 2 bedroom 2 bathroom mother in law suite with a private entrance. You won't want to miss out on the opportunity to live in such luxury. " "Gorgeous home in downtown Farmington. Huge great room with tons of natural light that is great for entertaining. Spectacular kitchen with quartz counter tops, a huge pantry and double ovens. Large, out-of-sight mudroom and big laundry room with a quartz counter and cabinets. Master bedroom has a sliding door out to a private deck. Large master bathroom with his and hers vanity areas. Upstairs loft with jack-and-jill bathroom and huge closets even in the secondary bedrooms. . Unique stone wraps entirely around home. Spacious detached 3-car garage. 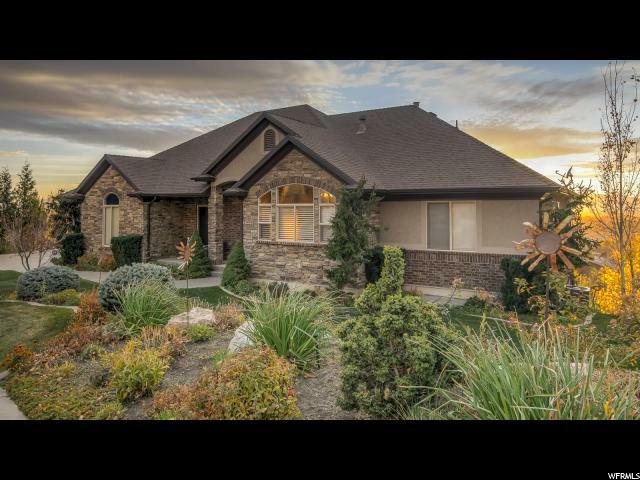 Located East of I-15 with close access to hiking and mountain biking trails. Less than a mile to Station Park, Lagoon, Farmington Pool and Farmington Rec Center. Beautiful home, a must see! " "Amazing brand new Monterey European home plan! Located in a great community near Lagoon, Cherry Hill, Station Park, schools and parks! This home features all the amenities! Bay windows, 3 car extended garage with exit door, can lighting, finished basement space, maple cabinets with trim and hardware, adult height vanities, stainless steel gas appliances, granite kitchen counters, tile accent surrounds in the bathrooms, 2 tone paint, textured walls, modern base and casing, laminate flooring and so much more!!!" 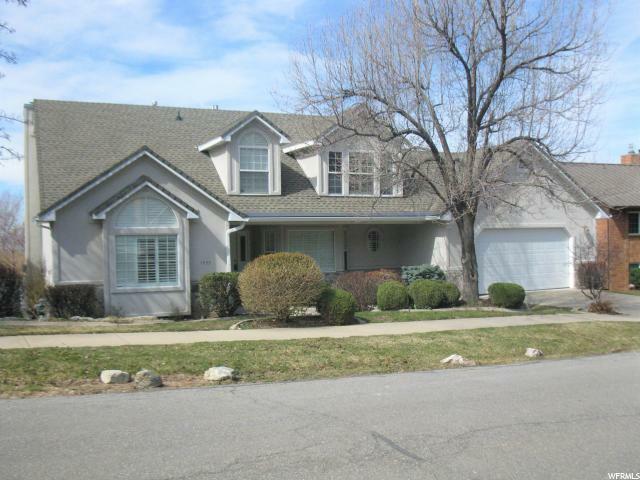 "This spacious home is a rare find in the Station Park area of Farmington. Easy access to shopping and freeways but in the seclusion of a quiet neighborhood. With no backyard neighbors you have unobstructed views of the mountains. An entertainers delight with an open floor plan, oversized family room, tiered theater room, large patio with a gazebo and an outdoor firepit. 7 bedrooms and 4 full bathrooms including an extra large master suite! Additional upgrades include 3 walk in closets, double vanities in bathrooms, double ovens, large RV pad, huge laundry/craft room, 2 A/C units/furnaces and a tile shingle roof." "Beautiful N Farmington custom house in Somerset. Updated kitchen and master bath with granite counter tops. Custom features throughout. Wainscoating and chair railing, tons of built-in cabinets. Plantation shutters on all floors. New roof in 2012, water heater in 2015. Two-car garage with built-in storage. Two bedrooms plus separate office in walk-out basement. Square footage figures are provided as a courtesy estimate only and were obtained from county records. Buyer is advised to obtain an independent measurement." "The search is over - you've found the home of your dreams! 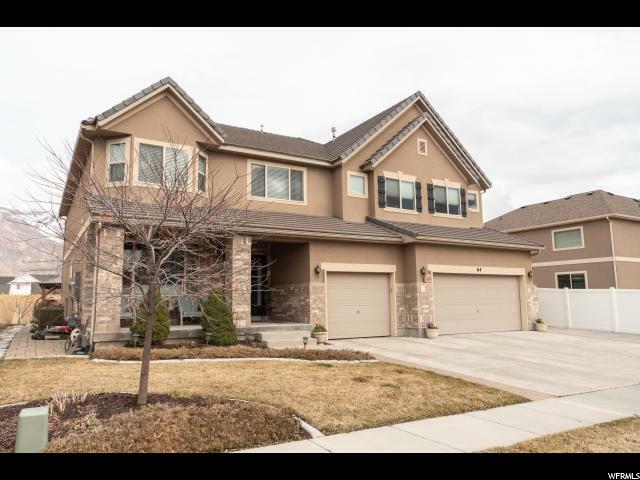 This gorgeous family home is located in a fantastic Farmington neighborhood and has all the luxuries you want in your perfect space. And let's talk about UPGRADES: new carpet, newly installed roof, a picture perfect vinyl fence, luxury vinyl flooring, and fresh paint on some of the walls and cabinetry? This home is ready for your customizations and personal touches. At only five years old, this home has been carefully taken care of and loved. And with soaring ceilings, a flexible and comfortable loft space, and a master suite (with its own private fireplace) that will make you feel instantly at home, there isn't a corner of this home you won't love. And let us just mention the other fantastic amenities this home offers. Privacy, and views in every direction are what greet you from your windows. A spacious, 4 car garage keeps your vehicles, tools and toys safely stored during all seasons, and with a new HOA park and pool, there's no end to the fun. With a location close to Station Park and the freeway, recreation and enjoyment is just a quick trip away. This isn't a home that you're going to want to miss. Schedule your private tour today! " 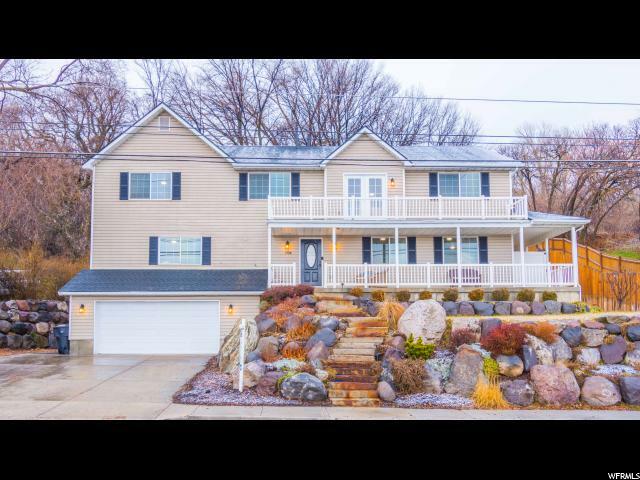 "Rare east Farmington updated home with BEAUTIFUL views of the valley to the west and mountains directly to the east, and over a half acre yard. You will not want to miss this one! If the views from the outside aren't enough, the recently updated inside will leave you speechless. Brand new custom kitchen--marbled quartz countertops with 2 mitered edges, inset cabinetry, floor to ceiling pantry wall with pull out drawers, brand new stainless steel appliances, including induction stove top and convection oven, custom hood, oversized island with seating for 4, counter to ceiling marble subway tile backsplash, shiplap accents, built in serving buffet for extra storage and countertop, and wall of windows for natural light. Kitchen access to one of two Trex decks with gorgeous views of the valley, new carpet in living room and all bedrooms, gas fireplace, french doors to front room with custom millwork, newly refinished red oak flooring, newly remodeled main floor and second floor bathrooms, custom built in closet in master bedroom, private, direct access to second level deck from master bedroom, new blinds throughout the house, most new doors throughout, mature fruit and nut trees, secluded yard, two a/c and two furnaces (both furnaces are 90%), fresh paint, new trim throughout the house, huge two-story bonus room downstairs that is perfect for the kids, and the list goes on and on. Hard to beat this location-- close to the freeway entrances, Station Park shopping mall, etc. Square footage figures are provided as a courtesy estimate only and were obtained from previous listing. Buyer is advised to obtain an independent measurement." "Don't miss this beautiful home on the East bench of Farmington in the Woodland Hills subdivision. Homes rarely come up in this area. 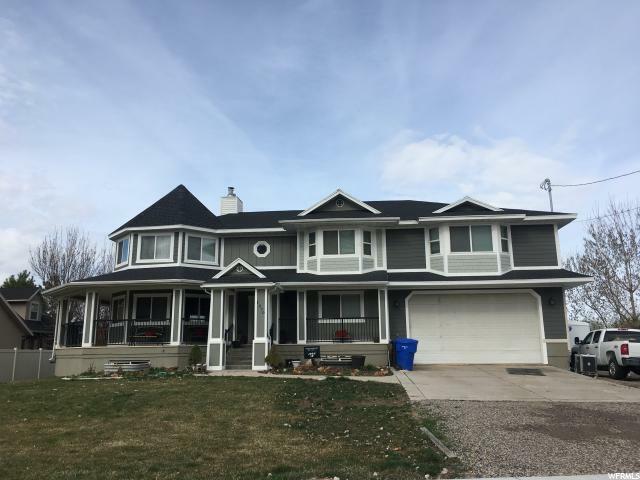 6 bedrooms, 4 full bathrooms, Living room, Family Room, Flex Room, Over-sized laundry/Craft room, and basement can be used as a mother in law suite or apartment. Facing the tennis courts, and city park. Storage! Storage! Storage! 3.5 car garage on main level, and another 3 car deep garage on the lower level with a RV Pad, and separate driveway, and walk out entrance, bring all your cars, boats, and toys. Mature landscape on .33 Acres, fruit trees that include, plum, pear and apple. The backyard also features a playhouse that is built on a slab with electricity and makes for any kids dream. " "IN TOWN ACREAGE, HORSES, LIVE OR BUILD YOUR DREAM HERE! There are endless opportunities to build additional square footage to the existing home on this highly sought after acreage in Farmington. Consisting of 1.77 acres (platted for 3 potential building lots), the front yard is large enough to build your dream home, or simply add onto the existing home. This desirable property is located two minutes from Station Park, excellent schools, and freeway access, making this location feel like serene country living in this bustling community! Existing structures on the property include a home with an oversized 3-car garage, a 1500 square foot detached drive through garage with 12-foot ceilings and oversized garage doors, and a 4-stall metal barn perfect for hay storage. The two bedroom, two bath living space sits atop the three car garage with a welcoming main floor entry and 4-foot wide staircase. The bedrooms have walk-in closets and ceiling fans. The master bedroom has its own private 3/4 bath. The second bathroom has recently been remodeled and has an extra large soaking tub. The open country kitchen boasts stainless steel appliances and a suitable island for entertaining. The adjoining dining area and living room provide all-around views of the mountains. There is plenty of closet and storage space, along with a stackable full-size washer and dryer closet. Come and enjoy the views of the mountains from the second story covered deck, relax by the backyard fire pit, and savor the privacy of your spacious acreage. This beautiful property backs up to a new trail with access for your bicycles, safe dog walking, and horse riding. Bring your horses, your dream home plans, or just move right in and take delight in the best country living near all of the amenities! Square footage figures are provided as a courtesy estimate only and were obtained from County Tax Records. Buyer is advised to obtain an independent measurement." "Awesome location, amazing home! This Whitman Traditional 2 story home plan is a must see! 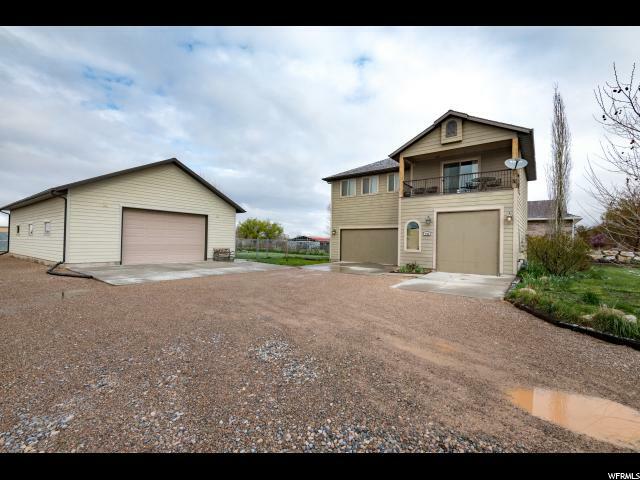 Featuring a partially finished basement, spacious box windows, and a 3 car garage with exit door/keypad/belt drive, this home is sure to impress! Also includes can lighting, brushed nickel hardware, maple cabinets with soft close/roll-out drawers, adult height vanities, stainless steel gas appliances, quartz kitchen counters, gorgeous tile accents in the bathrooms, 2 tone paint, textured walls, laminate flooring, modern base and casing and much more! You can't beat these features! Come check it out today! "